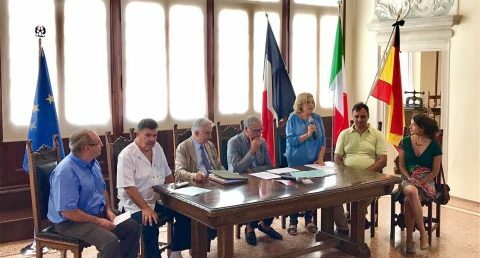 On the 18-20 August 2017, FACE was invited by Pro Sacile, the municipality of Sacile and the European Association of Traditional Hunting (AECT) to the championship of bird singing imitation in Sacile, Italy. The competition took place during the famous 744th Sagra dei Osei, the festival of birds. For many generations, incredibly talented competitors from France, Spain and Italy participate each year at this competition and perpetuate the tradition. FACE supports regional and traditional hunting activities throughout Europe as important aspects of deeply rooted cultural heritage. FACE will be further highlighting traditional hunting in 2018 – the year of Cultural Heritage in Europe.